Named for the founder of both Tempe and ASU, Hayden Ballroom is the ideal space to host small to medium size events. 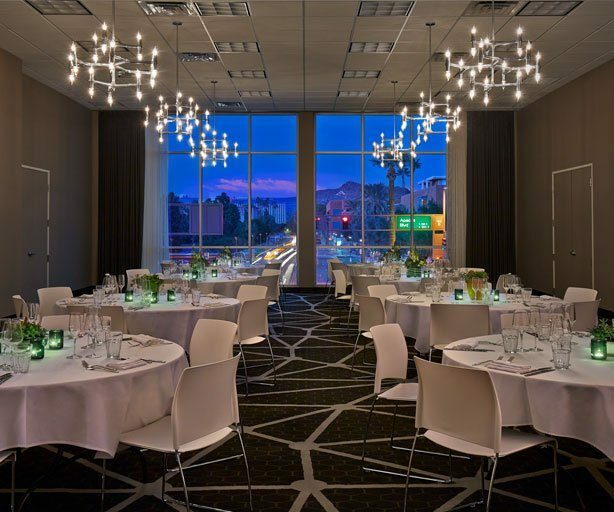 Complete with floor to ceiling windows for loads of natural light and modern finishes, this flexible meeting & event space is a chic and sleek venue for wedding receptions, company meet ups and special events of all kinds, including host to our own acoustic concert series with ALT AZ. Our open-air rooftop is an ideal venue for medium to large size events. 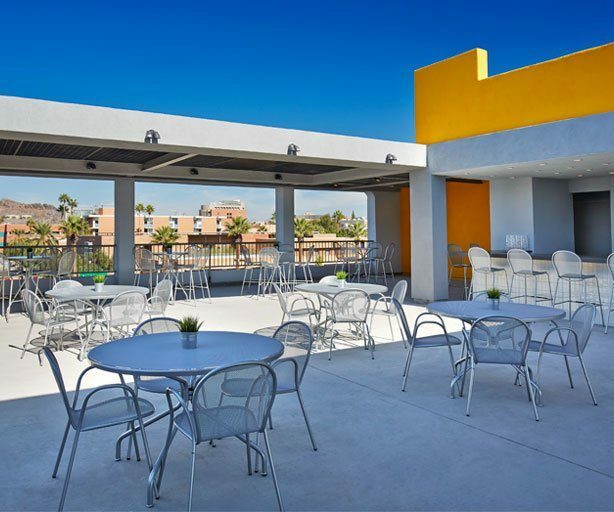 Bursting with bright and bold colors, our rooftop comes complete with spacious lounge areas, two TVs and a private bar. Overlooking campus and the iconic A Mountain to the north and our swimming pool to the south, this space is a sure spot to impress your guests.